The IT industry has changed drastically over recent years, and as a result, so have the skills and experiences needed by organizations. No longer does a B.A. guarantee you success in the IT industry. Students aspiring to a career in the IT industry are often presented with an apparent paradox: technology careers represent readily-available and well-paid work, but are gated by the increasingly inaccessible costs of a four-year degree. Thankfully, this is only half-true. More and more, employers are turning to certifications, internships and apprenticeships to identify and hire capable workers. For students, this skill-focused alternative to traditional four-year degrees may seem counter-intuitive, but It’s a pragmatic approach. Skill-specific training comes at a lower price tag than even public universities and translates directly to expertise used on the job. Showcasing these qualifications on a resume or cover letter also makes it easier for hiring managers to match their needs against applicants’ skills and experiences. According to the the College Board Annual Survey of Colleges, public four-year colleges have seen their rates rise by an average of 3.4 percent per year over the past decade. At the same time, more than 500,000 IT positions sat unfilled last year. As college affordability becomes more challenging and employer demand for tech-savvy staff swells, workers and businesses are looking a combination of other credentials to meet their needs. A bachelor’s degree has typically served as the first step into a career in the IT industry, but today’s organizations demand a different mix of skills and experiences. As a result, hiring leaders are increasingly focused on identifying candidates with specific talents, regardless of where they were acquired. Despite these shifting attitudes, most students and their parents hold outdated views of the industry and overemphasize the importance of a B.A. or B.S. According to CompTIA’s 2015 study, HR Perceptions of IT Training and Certification, 98 percent of HR and hiring managers are willing to consider qualifications outside of college on an applicant’s resume. Even still, a majority of students and parents view a college degree as a necessary credential within the IT industry. 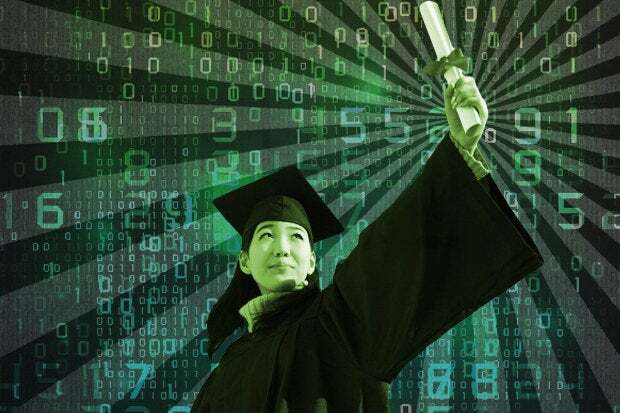 College will always be a beneficial opportunity for millions of students to hone their critical thinking and research skills, but skills and experience are the new currency for budding careers in technology. Perhaps due in part to the unconventional career paths of some of the technology industry’s heroes — including luminaries such as Bill Gates, Mark Zuckerberg and Steve Jobs — IT firms today are more interested in what you know than how you learned it. Despite these high profile success stories, organizations need to ensure workers share a baseline competency in job-critical skills, and look to a number of indicators for verification. Almost half (42 percent), of HR and hiring managers will consider significant experience in lieu of a four-year degree, while 38 percent view a certification from a reputable organization as a viable alternative, and 35 percent hold internships and apprenticeships in equal regard. Even for students who have attended college, a third of hiring managers consider candidates with two-year associate’s degrees, while 31 percent believe that a combination of relevant experience and skills, some college and professional association membership are credible substitutes to the traditional four-year degree. Employers have largely moved beyond the college-or-bust mindset, and students have a multitude of tools to break into the IT industry. As tuition prices skyrocket, industry skill certifications remain an affordable alternative, and focus exclusively on workplace-relevant skills. Combined with hands-on experience through internships or apprenticeships, certifications can serve as a powerful indicator of your work-readiness and expertise. They also provide a common foundation to build on with more advanced or specialized training, enabling you to progress in your IT career while providing tangible proof to current and future employers. There’s little doubt that college is an invaluable experience, but it’s not the only way to make it in IT. Nontraditional education and skills-focused hiring have long been the norm for the programmers and developers (and the people who employ them), but these norms are finally permeating throughout the industry. From helpdesk support to product development, the industry has moved to adopt a skills-first approach. You don’t have to be the next Jan Koum to make it without a degree — with the right combination of certifications and hands-on experience, you can jumpstart your IT career.